Tomorrow is the last Sunday of the month, and that means only one thing to the avid online tournament player: the PokerStars Turbo Takedown. You need 3k FPPs to buy-in to this event, but it is more than worth it as it boasts an impressive prize pool of $1,000,000. And that’s not all – the winner of the event also receives a new Audi TT as a Turbo Takedown bonus! PokerStars hosts this exciting tournament at 15:30 EST to make it easier to fit into the average person’s schedule. It can be found in the tournament lobby under “Special”. If you were not able to accumulate 3,000 FPPs during the course of the month, you will need to enter FPP satellites since this tournament cannot be entered with regular cash! Satellites can be found under “FPP” once you find the “Satellite” tab in the tournament lobby. A maximum of 25k people can enter this event, and a whopping 5,000 people make the money! This number is so impressive because it is, at worst, 20% of the field. This tourney is a low risk way to compete for a healthy cash out. Most special tournaments carry bonus incentives, and the Turbo Takedown is no different. We already talked about the car that you could win, but you should also keep in mind that there is a cash alternative of $40k if that is better for you. This is also a tourney in which you will be pleased to sit with Team PokerStars players because all of them have $100 bounties on their heads! 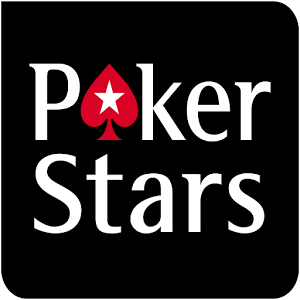 PokerStars Pros have spade logos next to their names when they are at the tables. The Turbo Takedown gives you the chance to win some bonuses. Those that cash consecutive Turbo Takedowns receive special bonuses that clear more quickly than usual bonuses. Cashing in two in a row nets you $100, and then you get an extra $100 for further consecutive cashes up to $1,000. These bonuses will pad your bankroll super quickly if you can keep it up! If you aspire to play live poker for a living, it should be a no-brainer for you to play the Irish Open, the second longest running NLHE event after the WSOP. This year’s event occurs from April 22nd to April 25th in Dublin, and the buy-in is €3,200 + €300. Titanpoker knows that coming up with €3,500 for a poker tournament can be tough, so there are plenty of scheduled qualifiers that offer €4,600 packages. You will receive everything you need: 5 nights at the Burlington Hotel including breakfast, €705 to cover your expenses and fees and, of course, your Irish Open buy-in. Qualifiers were scheduled as far back as a few months ago, and they are scheduled to run until the start of April. Qualifiers include freezeouts, rebuys, and chances to win seats only. Every week there are Super Satellites that award €4,600 packages. For example, there is a €200+€20 freeze-out on Sundays, a €60+€6 event with €30 rebuys on Tuesdays, or a €200+€20 tournament with €30 rebuys on Thursdays. Titanpoker is offering an incredible Mega Satellite on April 3rd. A whopping 30 packages are guaranteed! It will cost €320 to enter the Mega Satellite, but there are also satellites to the Mega Satellite for as little as €0.33+€0.03. If you like deep stacks and post flop poker, you will be pleased to know that the Irish Open starts with 20,000 stacks. Blind levels start at 60 minutes long, but they are increased to 75 minutes after the 6th level. If you make it all the way, you will play four days, with the final table scheduled for April 25th. With so many satellites of all stakes available, you have a great chance to earn your seat for the Irish Open.